SNAFU! : F-35 News....F-16's getting F-35 sensors and other updates to keep it in service till 2040! Note. This is more stunning than the F-15EX purchase we heard about recently. The idea that the USAF is diverting funds not only toward new purchase F-15s but also doing this major upgrade to F-16s makes you wonder what's really going on with the F-35! More clarity on the issue soon I hope. The Air Force is giving its 1970s-era F-16 fighter F-35 technology as part of a massive fleet-wide overhaul intended to improve targeting, attack precision and computer systems -- to extend the fighter’s combat life all the way into the 2040s. A fleet of F-16s are now getting new F-35 Active Electronically Scanned radar, and other upgrades including upper wing skin and fittings, upper and lower bulkhead, and canopy sill longeron. The effort, called a Service Life Extension Program, is already underway; Low Rate Initial Production started last year, according to Capt. Hope Cronin, Air Force spokeswoman. Current Air Force F-16s have flown roughly 6-to-7 thousand flight hours, en route to the original plan to fly the planes out to 8,000 hours. Now, however, the Air Force plan is to fly the jets all the way out to 12,000 hours, given the extent of the combat upgrades. The SLEP program consists of 12 structural modifications and an existing Time Compliance Technical Order. The Air Force is upgrading 372 F-16 aircraft from the existing mechanically scanned radar (APG-68) to an Active Electronically Scanned Array (AESA) (APG-83), Cronin explained. The new AESA radar can track up to 20-targets at one time, Randy Howard, Lockheed Martin F-16 Director of Strategy and Business Development, told Warrior Maven. Howard added that the upgraded F-16s are getting a modern, state of the art targeting system and sniper system along with clear graphics and video into the cockpit. “Pilots can see targets farther,” Howard said. Alongside the Air Force SLEP, Lockheed Martin has also been building a new F-16v variant, which continues to inspire allied interest around the globe. The F-16v also uses new computers and software as well as a high-definition cockpit display. The “v” model also adds a new data bus, electronic warfare suite, missile warning sensor and helmet mounted cueing system. 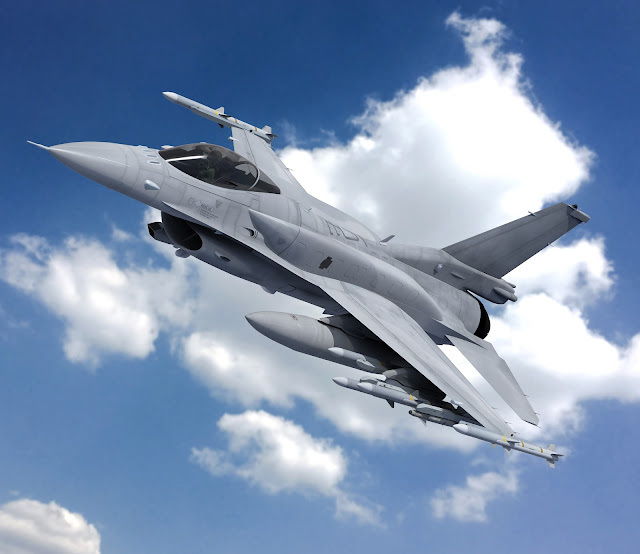 The new F-16 also uses a high degree of increased on-board automation to free up pilot focus and workload. By automatically performing a range of important procedural functions independently, a pilot is then freed up to focus more intently on other mission critical tasks. “Instead of being a display manager, the pilot is a tactician...his systems are making self-protection decisions for him faster, at the speed of a computer,” Howard said. Part of the F-16 automation includes the use of a computerized Ground Collision Avoidance System, a technology which uses computer algorithms to autonomously re-route the plane in the event that a pilot is incapacitated. The computer system can, for instance, take over flight of the plane to avoid a collision with the ground, building or other structure. So far, Air Force and Lockheed officials report that the program has already saved seven lives and billions in aircraft costs. Don't get me wrong, this is good news. I've been calling for this very thing (others did before me....ELP, Peter, and others I can't remember) but to see actually being done is surprising...and thrilling. What does this say about the F-35 program? What aren't we being told? I can't wait to find out!